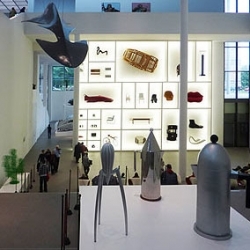 "Objects and Projects - Alessi: History and Future of an Italian Design Factory" exhibit at Munich's Die Neue Sammlung with curator Alessandro Mendini. 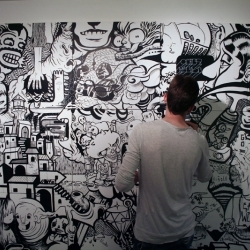 En Masse is a Montreal based collective who create gigantic art piece, black and white murals and art installations. 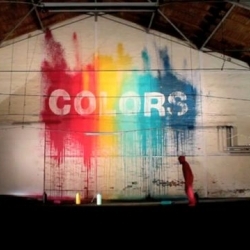 "True colors" is a stop-motion video with painted walls and a cool music. 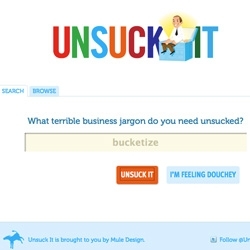 That's not "Blu" but it definitively deserves your attention. 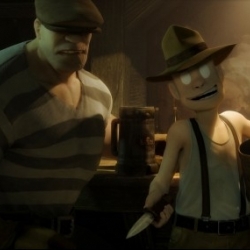 Eric Powell’s ‘The Goon’ is being developed as an animated feature film to be produced by ground-breaking filmmaker David Fincher, Blur Studio, and Mike Richardson at Dark Horse Entertainment. 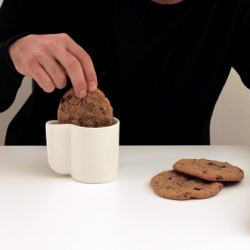 entresuelo1a's taça - Absolutely genius idea to be able to dip your cookies in milk, without having to worry about your glass being too small. 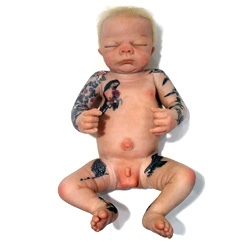 Drill Baby is a lifelike newborn covered with tattoos that tells the tragic story of the BP Oil Spill by artist Jason Clay Lewis. 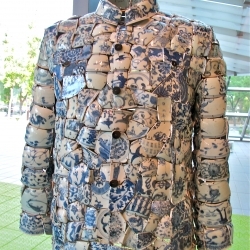 Lacoste's latest Chinese collaborator Li Xiao Feng's porcelain"wearable art" permanently on display in Beijing at The Opposite House as part of their permanent art collection. 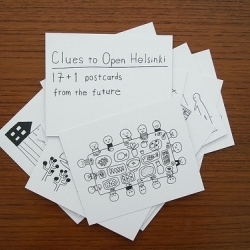 A collection of postcards from the near-future with clues to an open and happier Helsinki. 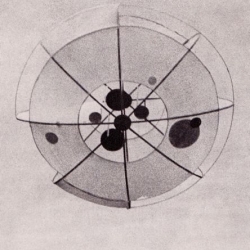 Perhaps what you might see when you visit Helsinki as the World Design Capital in 2012. 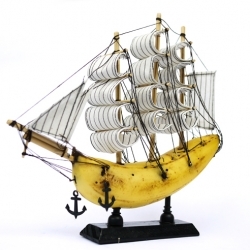 Danish artist Jacob Dahlstrup recently launched a fleet of Banana Boats across the north sea to conquer the exhibition space at the Shoreditch Town Hall in London. 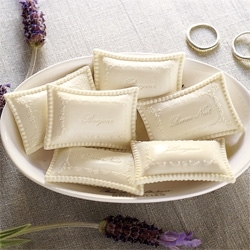 Bucefalo it is the brand new sofa from “The Memento Collection”by Emanuele Canova. Inspired to the Bucefalo’s leggendariy figure, the black horse that only Alexander The Grat succeeded to tame. 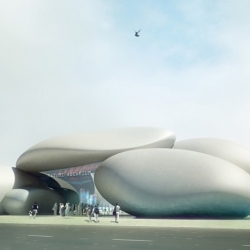 Denmark-based Henning Larsen Architects has won first prize in an invited competition to design the Batumi Aquarium in Georgia. 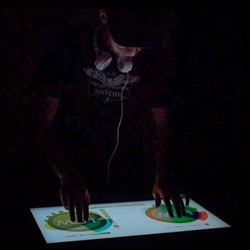 New technology for DJ’s, called the Multi Touch Light Table, built by Gregory Kaufman. 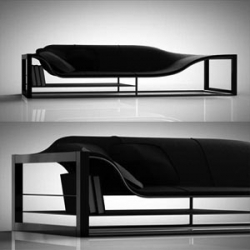 A unique table designed by Simon Goetz. 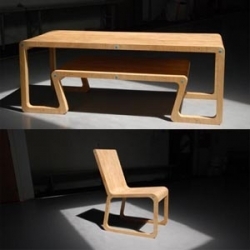 A table that looks layered from the legs of the table connect to a small table beneath. 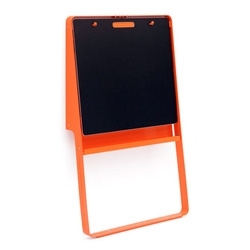 Tolix Girafe Blackboard Designed by Sébastien Cordoleani & Frank Fontana ~ love the wall lean and the orange, secretly wishing it was a whiteboard. Tolix makes kids stuff! 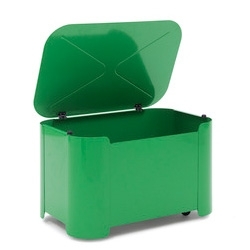 Tortue Toy Box in a stunning shade of green ~ and it has wheels! 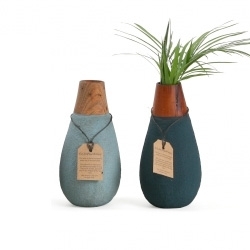 These "green" vases are handmade in Sri Lanka from recycled paper and sand and are 100% waterproof. The wooden neck is made out of mahogany offcuts from the furniture industry. Crio is a sophisticated extra large pendant light designed by Giovanni Minelli for Fabbian. This contemporary light fixture is ideal for grand open areas and will look great in a commercial envioronment. 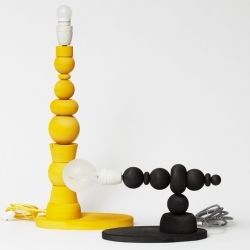 The lamp Träkul from Swedish designers Oddbirds. Shown at the Formex fair in Stockholm this weekend. 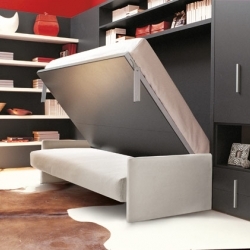 VIDEOResource Furniture shows off their space-saving and elegant furniture. Four cities in the UK now play host to giant sculptures of various animals. 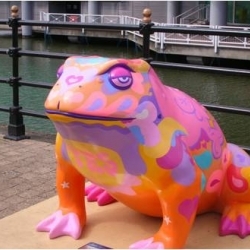 Is this proof that the UK is finally going to the frogs? 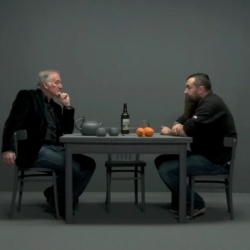 Amsterdam-based artists Lernert & Sander teamed up with a bunch of other artists to create a 9 episode film with creative heads who explain their works to their parents. 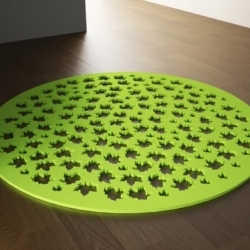 This cute rubber carpets collection by Joel Escalona is incredible. 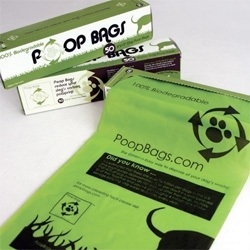 It is durable, resistant and economical. 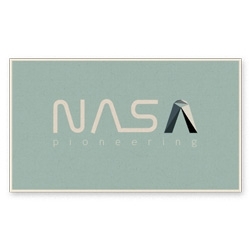 The collection is designed for both indoor and outdoors and is a great way to add a touch of color. 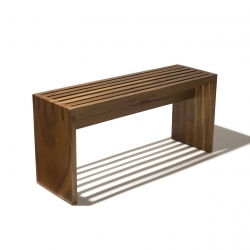 PraDois - This bench’s name is a neologism that refers to the portuguese words Para Dois, or For Two. Notice the joinery on the sides and below the seat. 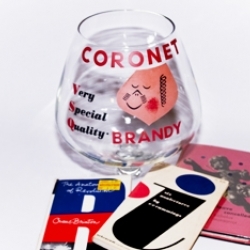 The production is limited to 11 pieces only. 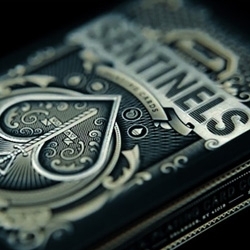 The most high-end deck of playing cards ever produced, printed on the USPCC casino press in Q1 quality. 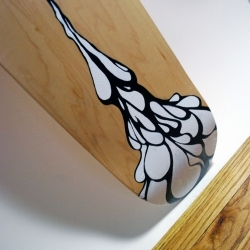 Design by theory11 in association with Hatch in San Francisco. 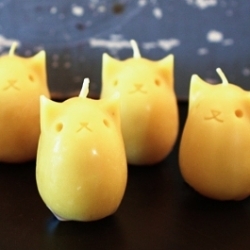 Kitty Beeswax Candles fall somewhere between adorable and creepy. 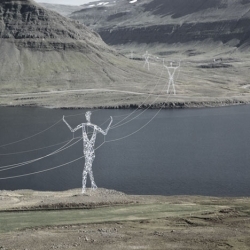 Awesome - American firm Choi + Shine Architects designed these conceptual electricity pylons shaped like human figures to march across the Icelandic landscape. 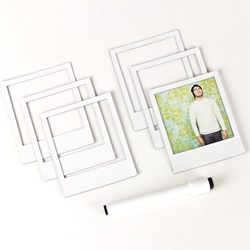 Magnetic Polaroid Frames! 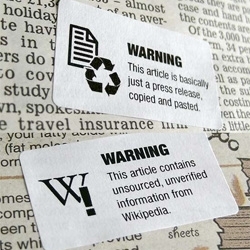 They are like little NOTCOT.org posts! 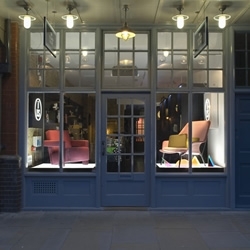 London-based design consultancy d_raw have completed the interior for the Bond & Brook Restaurant inside the Fenwick department store in London. 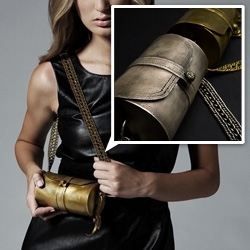 Pamela Love's metal handbag... in brass and silver they are quite a (wearable) work of art. 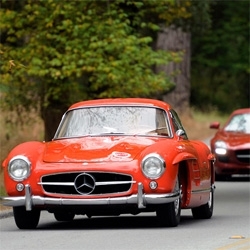 Monterey 2010: Pebble Beach Tour d'Elegance ~ Autoblog has some stunning pics! 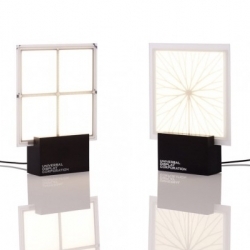 OLED lighting is still considered an emerging technology, but Universal Display Corporation has been creating amazing concept products with these extremely efficient panels for over a decade. 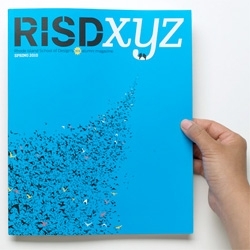 RISDxyz ~ the alumni mag gets a makeover ~ redesigned by Metropolis Creative Director and RISD alum Criswell Lappin ~ CoolHunting has a great interview and peek inside! 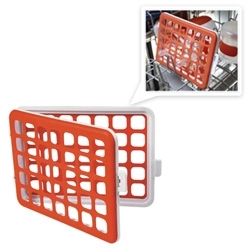 Love these new puzzleboards by OOOMS with their multi use functions. 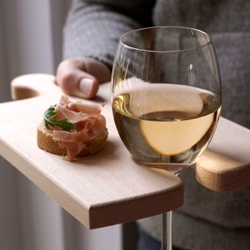 Piece them together when your cutting up a long baguette, or use them as a classy serving board/wine holder. 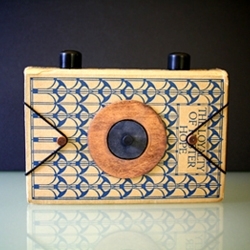 A beautiful pinhole camera created from a vintage hardback book by engrained. 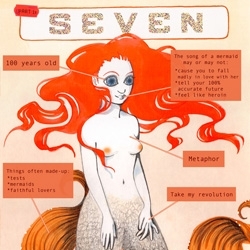 Eliza Frye has a new webcomic, The Mermaid Rooms. 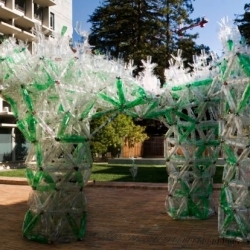 An enormous plastic rain flower from plastic water bottles, sugared beverage containers, and other scrap plastic constructions that could be used for capturing and purifying rainwater.